Home » Blog » Meet the 2019 Young Scientist Seminars Winners! Meet the 2019 Young Scientist Seminars Winners! iBiology and our partners the Albert and Mary Lasker Foundation and the Alda Center for Communicating Science are proud to announce the four winners of the 2019 Young Scientist Seminars’ competition! 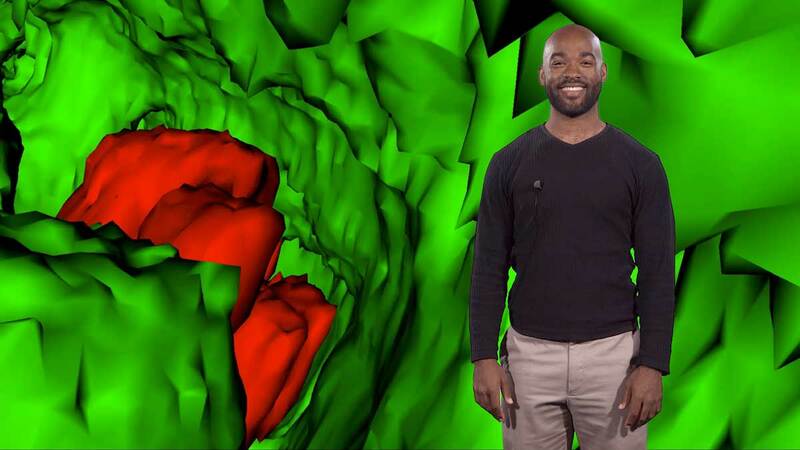 The winners will attend a workshop at the iBiology headquarters at UCSF, June 4-7, 2019 and record their research talks in our green screen studio. These talks will be posted on iBiology.org as part of the Young Scientist Seminars, a video series showcasing the work of young scientists. Maite Ghazaleh Bucher, a Ph.D. Candidate and NSF GRFP Fellow at the University of Georgia Environmental Health Sciences Department. She studies how bacterial communities affect health and disease development of Florida Keys Reef corals. Karina Mondragon-Shem, who is completing her doctoral work at the Liverpool School of Tropical Medicine in the United Kingdom, studying the saliva of different blood-feeding arthropods that transmit diseases. Katie Murphy, a PhD Candidate at the University of California, Davis, where she studies specialized metabolism in maize (corn) and how it relates to the maize stress response. Dr. Sven Truckenbrodt, a postdoctoral fellow investigating the nanoscale architecture of synapses at Institute of Science and Technology Austria by further advancing X10 expansion microscopy, a new method for super-resolution imaging developed during his PhD at the University of Göttingen. Dr. Jeremy Borniger, a postdoctoral fellow at Stanford University studying bidirectional communication pathways between the brain and cancer in the body. Dr. Saurja DasGupta, who completed his PhD at the University of Chicago investigating the structural principles underlying catalytic function in RNA and plausible evolutionary trajectories that could have led to the emergence of complexity and diversity of catalytic RNA. Eithne Kavanagh, a PhD candidate at the University of York, United Kingdom, where she is researching communication and social behaviour in primates, with a special focus on chimpanzees and bonobos. Dr. Adriana L. Romero-Olivares, a postdoctoral research associate at University of New Hampshire, interested in understanding how the process of evolution in fungi shapes ecosystem-scale carbon processes. Dr. Yeva Shan, a postdoctoral researcher at the University of Chicago where she studies the interaction between host and gut microbiota, as well as its impact on human health. Olga Shishkov, a PhD candidate in mechanical engineering at Georgia Tech, where she studies the collective dynamics of how black soldier fly larvae feed, how they react to external forces, and how to raise them as a sustainable protein source.